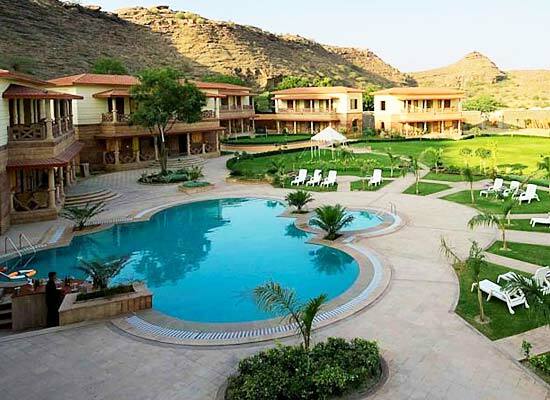 "Marugarh Resort in Jodhpur is an ideal retreat in the city to stay. The hotel offers amazing range of classical and luxurious comforts to one and all. The stunning natural beauties all around the hotel invite one and all to live in the resort to enjoy the quietude and peacefulness that is present in the hotel. 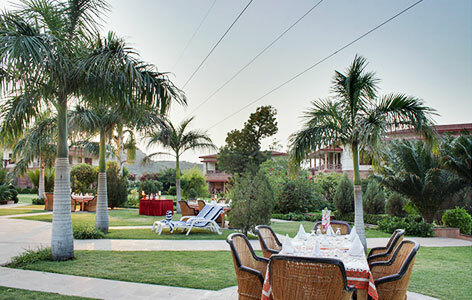 It is one of the finest heritage style hotels in Jodhpur. 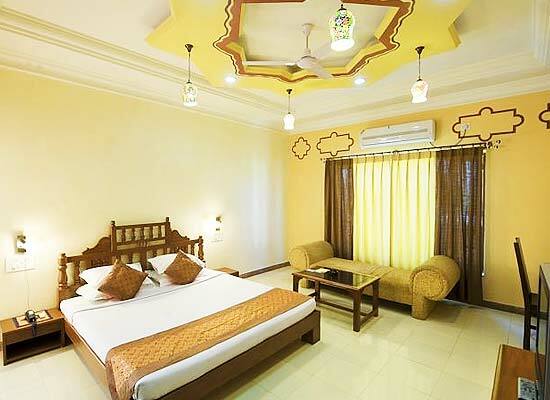 A heritage style hotel in Rajasthan, Marugarh is built using elegant features of modern architecture with royal features of traditional Rajasthan. With domes and arches at every corner, one is bound to transfer back to the historical times. 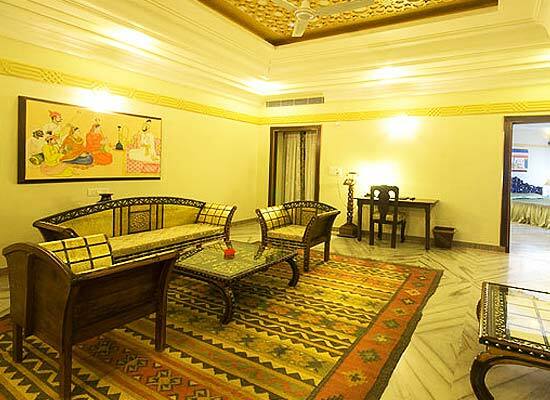 With modern facilities and Rajasthani culture surrounding the hotel, a stay in here is simply unforgettable. All the 43 rooms in the hotel have one thing in common: they all are replete with modern day comforts while the architecture and décor are reminiscent of golden days of Rajasthan. Every accommodation in the hotel have an attached balcony which allow one to enjoy glorious views of swimming pool and surrounding lush green gardens. Maru Gandha: The multi-cuisine restaurant provides delicious Continental, Chinese, Rajasthani and Indian dishes. Sanjh Majeeth: Tourists come here to enjoy wide range of liquors in this in-house Bar. Bhakar Bagh: This restaurant elates one and all with delicious barbeque dishes. Mrig Trishna: This is the outdoor bar to enjoy scintillating views along with your favorite liquors. 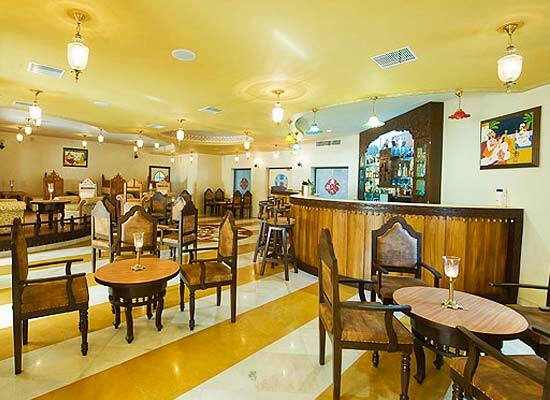 Sangam: Guests can enjoy themselves with wide range of liquors in this pool side bar. The second largest city of Indian state of Rajasthan, Jodhpur, once existed as the capital of princely Marwar state. It was established by the legendary King Rao Jodha in the year 1459. The city is replete with tourists all around the year who come here to enjoy the sights of magnificent Meharangarh Fort, glorious Umaid Bhawan Palace and numerous other temples, gardens and monuments that are located in the city.